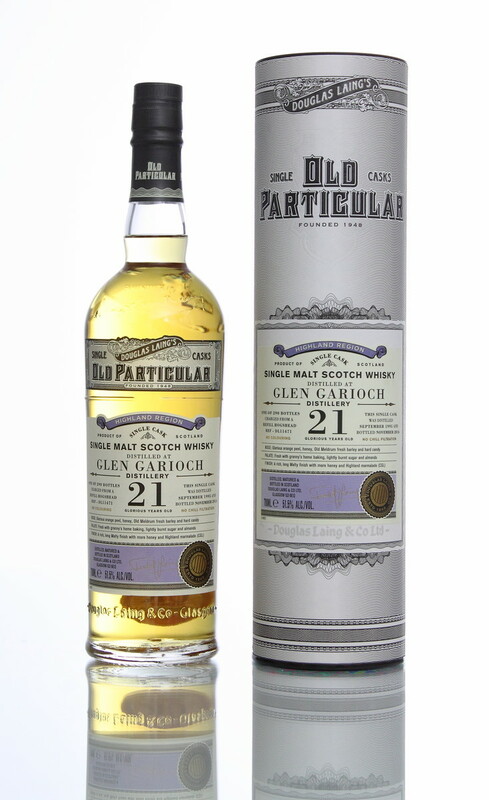 Another Old Particular from Douglas Laing that arrived here is Glen Garioch 21 Year Old and it was the top of the line offering before getting sold out. It was distilled back in September 1995, just before it was mothballed for a few years so it’s a precious old liquid from an age long gone. It was then aged in refill hogshead and bottled in November 2016. Total of 290 bottles were produced. This entry was posted in Whisky Reviews and tagged Glen Garioch on August 29, 2017 by Yoav @ Whisky Gospel. Following last week,s Glen Garioch which I liked and found to be a bit different, let’s have another Glen Garioch today, but this time an official bottling, a 15 year old sherry cask at cask strength that was bottled as an exclusive Travel Retail market offering at first, but it did slip into regular web shops. This entry was posted in Whisky Reviews and tagged Glen Garioch, Travel Retail on April 7, 2016 by Yoav @ Whisky Gospel. I was preoccupied with other things, so today we have a quick post with tasting notes of a bit weird (in a good way I promise you) Glen Garioch. It’s a 1991 distillate, bottled in 2015 as part of the Small Batch series of WM Cadenhead. There were 444 bottles produced of this Glen Garioch and it was bottled at 54.4%. Nose: Spicy, very dusty as many other Glen Garioch whiskies, crisp ex-bourbon, honey, pickles (!) and after it opens up a bit, peat smoke which isn’t a big surprise being a pre-1995 distillate. Palate: Sour, lots of peat smoke, honey, fruity sweet with pears on the front, pepper, a touch of ginger, oak dryness and as expected, dusty. This entry was posted in Whisky Reviews and tagged Glen Garioch on March 29, 2016 by Yoav @ Whisky Gospel. Glen Garioch aren’t sitting on their hands basking in the success of the 1998 Wine Cask Matured release earlier this year (which was a mystery blind dram and I loved it a lot!) and two months ago released a new limited edition: Glen Garioch The Renaissance 15 year old. This release is the first of 4 limited (and exclusive) editions (15, 16, 17 & 18 year olds) to be released annually, aptly named Glen Garioch Renaissance Collection which is here to celebrate the new house character that Glen Garioch took after the re-opening in 1997 following the purchase of Morrison Bowmore by Suntory. As such, all whisky was distilled after 1997 to reflect the new distillery style. This entry was posted in Whisky Reviews and tagged Glen Garioch on October 15, 2014 by Yoav @ Whisky Gospel. This entry was posted in Whisky Reviews and tagged Glen Garioch on April 24, 2014 by Yoav @ Whisky Gospel.